Here are the enlistment paper format. By following through the questions, you will be proceeding through your step as a fresh recruit, by going through the bootcamp and airborne school will get you fully accepted into the unit. Posting your application will apply yourself into a entry inside our Airborne School not as a unit member yet. 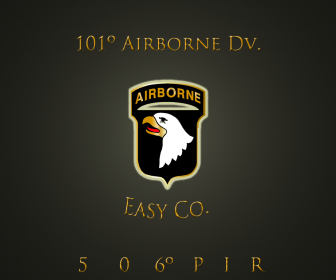 You will need to pass the airborne school to be accepted in the unit. For your "Title of the Topic" it will be "-yournamehere-'s Enlistment"
By posting this application, you have agreed to be mature, active, and willing to follow order and the common rules of the unit. Good Luck! A Recruiting Officer will get back at you with the application.